Picture this: it’s the first day of Spring and you’re in Switzerland, relaxing with friends along the picturesque banks of Lake Zurich. Then, out of nowhere, a person in a scuba gear pops out of the water with a ringing cell phone. Luckily for Samsung and its Swiss communications agency Serranetga, many did. As seen in a new video to promote the Samsung Galaxy S5 and its water resistant feature, individuals who answered the phone were then challenged to jump into the lake and snap an underwater selfie. On the day of the shoot, Lake Zurich had a temperature of about 8 degrees Celsius (46 degrees Fahrenheit). To help motive the crowd, participants who completed the frigid underwater selfie challenge were given a brand new Samsung Galaxy S5. Stunt aside, the video has garnered over 400,000 views. Although the video is only partially in English, it’s easy to understand. From the initial phone call, to deciding if they should give it a go and the final plunge, participants seemed to have fun with the experience. Samsung captured the attention of quite a few spectators as well, who are seen cheering on the intrepid underwater selfie participants. 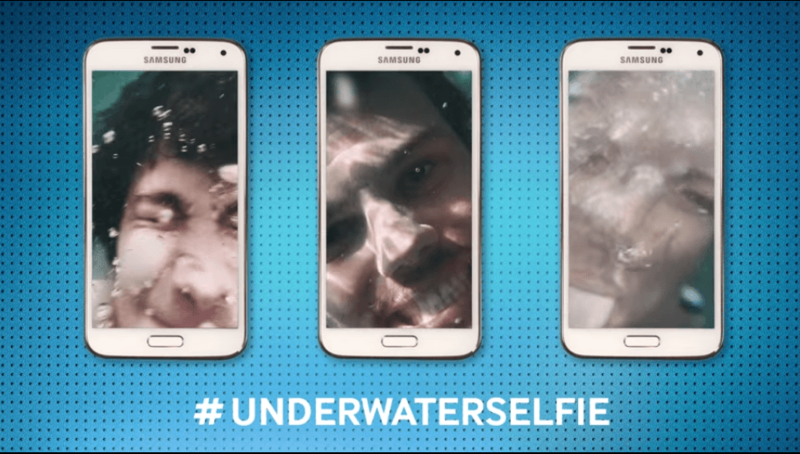 So, what can you learn from Samsung’s #underwaterselfie challenge? Most people know what a selfie is by now, so daring people to take one underwater was fun and fairly easy to complete. Plus, the prize – a free phone – aligned well with the level of effort for the challenge. If you set the barrier to entry too high, it may be hard to find willing participants unless the prize is incredible and worth the level of effort. 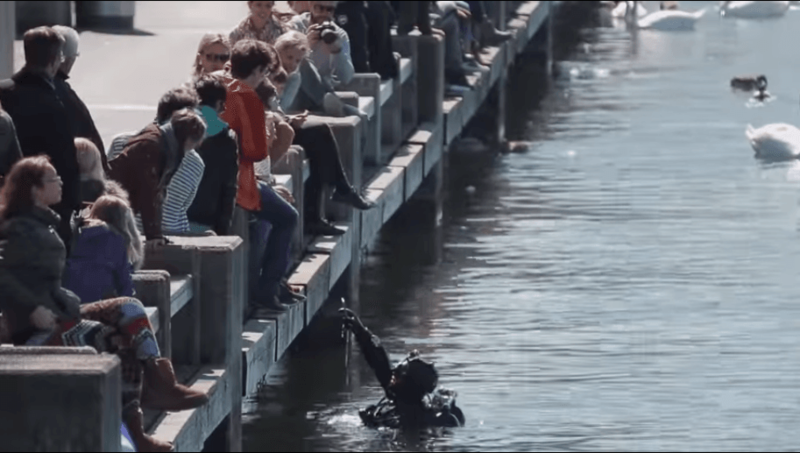 Samsung could have easily walked up to people on dry land, but having a scuba diver hand a wet, ringing phone to someone is way cooler. It quickly captures your attention and makes you want to find out who is on the other end. With this video, Samsung was able to show potential consumers that its phone is water-resistant – a feature that competitor Apple does not offer. It’s easy to list product features on a website, but the underwater selfie challenge in the video communicates the feature in a story like manner is much more memorable and believable. It was awesome to see how many people participated in the underwater selfie challenge. To add to the buzz around the campaign, it would be strategic to evolve participants into ambassadors. From having them do a teaser tweet or Instagram image on the day of, to sharing their selfies at campaign launch, or participating in photo challenges down the line, it could be beneficial for the Samsung team. Samsung has built a formula here for a stunt/challenge that works. This could be taken on the road to other countries with similar or different challenges that are fun, while highlighting the phone’s unique features. Samsung could also consider crowdsourcing challenge ideas or location suggestions from its community to add to the excitement. Just how far would you go for a free smartphone?